A new ‘Morning on the Hill’ flyer was launched recently in No 5 Vicars’ Hill. The flyer invites groups to book a visit to the Hill of Armagh, which includes Armagh Robinson Library, No 5 Vicars’ Hill and St Patrick’s Church of Ireland Cathedral. eighteenth and nineteenth century books with care, and to look at the 1835 Ordnance Survey Maps of the whole of Ireland to find out how their townland, village or town looked at that time. The visit to No 5 Vicars’ Hill is led by the Registry Officer. Built as the Diocesan Registry in 1772, the building holds examples of old church and state records. It also shows examples of the coin, gem and print collections, given to the Library by its founder, Archbishop Richard Robinson, as well as early Christian and pre-Christian artefacts. The Cathedral visit is given by the Cathedral Steward who will talk about the history from the year 445, include information on the stained glass windows and the monuments, and who will open up the thirteenth century Crypt. 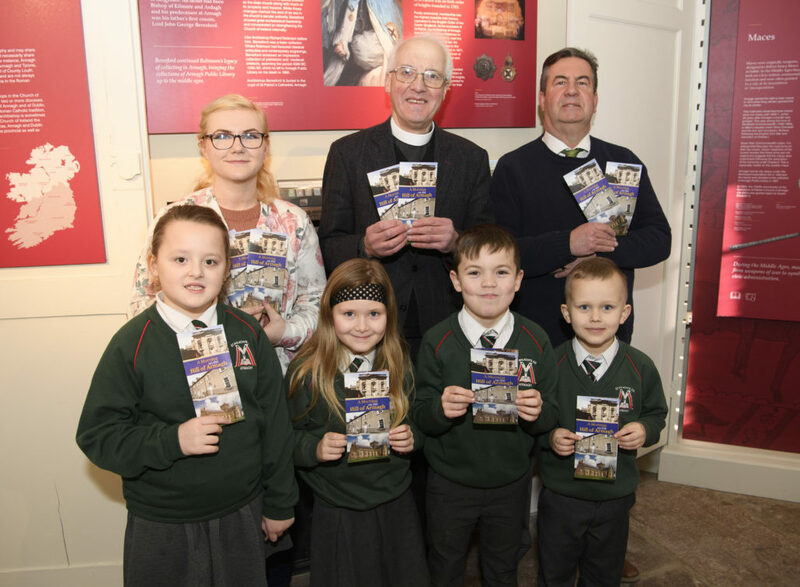 As our closest neighbouring school, St Malachy’s Primary School was invited to launch the flyer, which was partly funded by the Heritage Lottery Fund’s Resilience Grant. 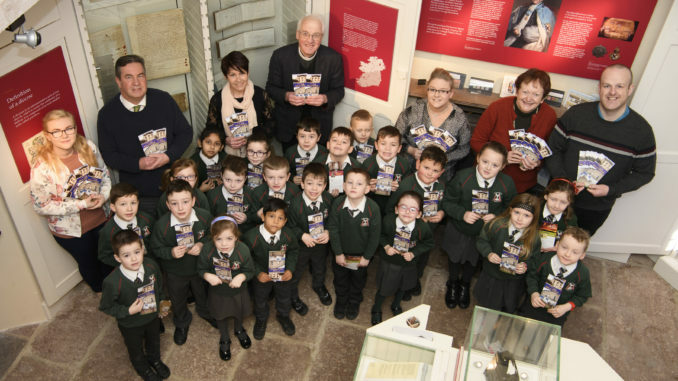 Primary 3 pupils came along, because the same pupils had taken part in a Playful Museums’ event in No 5 two years earlier. Their School gave permission for the photograph from that event to be included in the new flyer, so they were the ideal people to carry out the launch. School and student groups may book a ‘Morning on the Hill’ visit free of charge. For adult groups, a fee is requested of £7.50 per person to cover all three buildings. Previous groups have reported that the whole visitor experience was good value for money and we hope that new groups will agree! For further information, please contact Armagh Robinson Library on 028 37523142.